From what we can tell, Wonder Woman has a big summer ahead of her. Not only does her first headlining gig in a movie arrive in cinemas on June 2, but DC has decided to make the very next day all about her, complete with free comics to give out. But aside from all that awesomeness, you can expect some big shakeups in her ongoing series in the next few months. 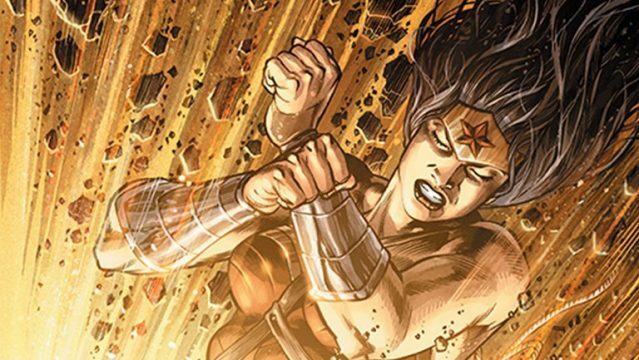 First, it should be known that writer Greg Rucka and artist Liam Sharp, the very creative team that brought Diana into the Rebirth era, will vacate the title with Wonder Woman #25 in June. Don’t worry, they’re not getting fired or leaving with animosity. Truth be told, the story they set out to tell will have concluded and they’re both moving on to other projects. As for who will be replacing him, well, it’s actually quite interesting because both incoming creators have previously worked on the character, albeit in different forms. Shea Fontana, known for writing DC Super Hero Girls, will handle scripting duties for at least five issues, beginning with Wonder Woman #26. Joining her on art will be Mirka Andolfo of DC Comics Bombshells fame. As of now, she’s penciled in to draw the first two issues, so who may be tagging in after her remains a mystery at the moment, but we’ll keep you posted. Wonder Woman #26 is scheduled to arrive in comic shops on July 12.